An all-purpose foaming cleaner ideal for carpet mats, fabric seat covers, velour seats, cushions and carpets in cars, trucks, motor homes, boats, 4WDs & Home use. 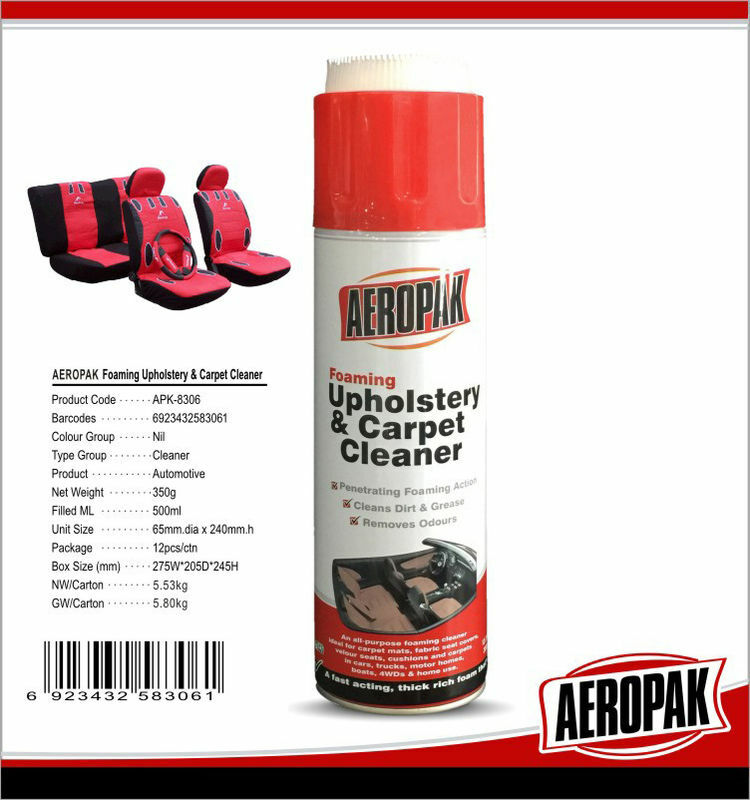 AEROOPAK ® Foaming Upholstery & Carpet Cleaner is a specially formulated biological foaming agent that produces a rich foam, It penetrates quickly into grime to clear awayy dirt, smudges and grease, restoring a fresh fragrance. AEROPAK ® foaming upholstery & carpet cleaner is friendly to the environmet with no phosphates or skin irritants and is perfrct for difficult stains like tea or soft drinks on fabrics, upholstery or carpet.